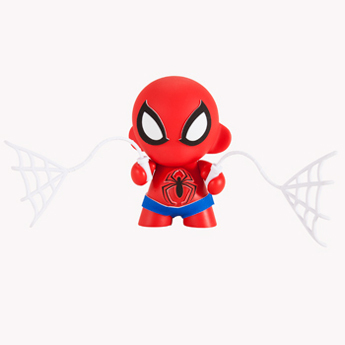 A bite from a radioactive spider gave Spider-Man his super strength, ability to cling to any surface, and shoot webs from his wrists. 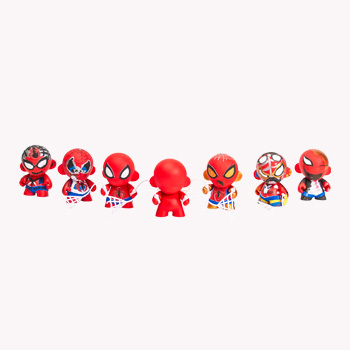 This 4-inch blank red vinyl MUNNY with web accessories and Spidey inspired decals, including uniform in classic colors, camera, and glow in the dark radioactive colored spider. With great vinyl comes great responsibility.